A premium training program for a professional career in Landscaping. This course provides comprehensive training to a professional level for employment as a garden designer, landscape technician, contractor or manager. This course is internationally accredited through I.A.R.C. The landscape industries employ a large number of people, but few have the breadth and depth of training offered by this course. While other courses may teach you the design but neglect management and plant knowledge; this course covers the lot. An outstanding study program - the best training you are likely to find for working as an elite garden designer. Knowledge is only part of what makes a landscape designer exceptional. You also need a flair for design, a passion for gardens and a practical touch (including some management and business abilities). This course works hard at developing all of these capabilities, as much as any course can; and provides interaction with leading landscape professionals in both Australia and the UK. The emphasis is more on landscaping, and less on horticulture. 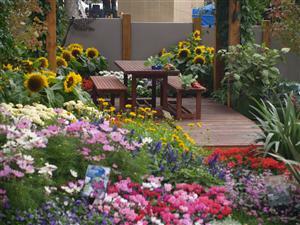 As such it makes it is more robust preparation for working in landscape construction or garden design. There are two main groups of components in all landscapes. The hard landscape or non-living components and the soft landscaping or living components. In landscaping you need to have a basic knowledge of both of these key areas. This course concentrates on hard landscaping, developing your knowledge of how to construct or build a landscape but also exposes you to plants. Learn to construct or build a garden the "right" way. At the end of this 100 course you should be able to design a garden, and will have a foundation for further studies in specific areas of landscape design, development or management. 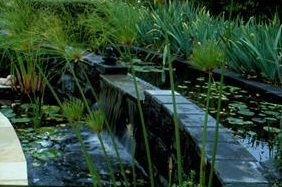 Learn the principles that underpin all landscape design. See how garden styles have evolved over the centuries, and broaden your understanding of how to use different garden components to create varying effects. This course is a natural progression from Landscaping I, but can be treated as a stand-alone study unit in its own right. This course concentrates on the detail of creating individual components in a landscape that are the difference between a good and a great garden. Often clients wish to have a particular style or themed garden or they wish to have elements of particular styles which appeal to them. As a garden designer it is vital to have a detailed knowledge of what different styles there are and what components are used to create them. Learn to apply the principles, design features and elements that make up many types and styles of gardens. This is an outstanding course for even experienced landscape designers, developing skills in designing everything from a formal to an eclectic garden, and a Mediterranean to an oriental landscape. This course provides you with a firm basis for the selection, establishment and maintenance of a range of commonly used garden plants.